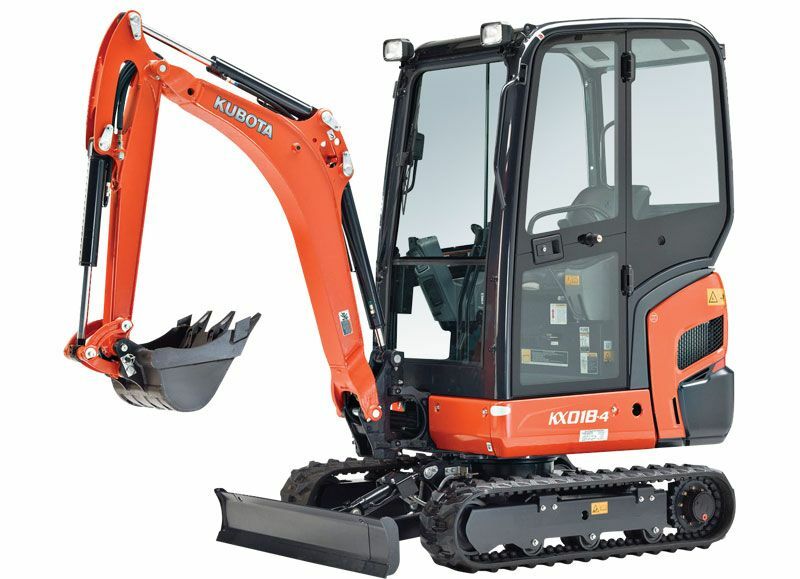 The Kubota K008-3 Excavator is powerful is dependable. 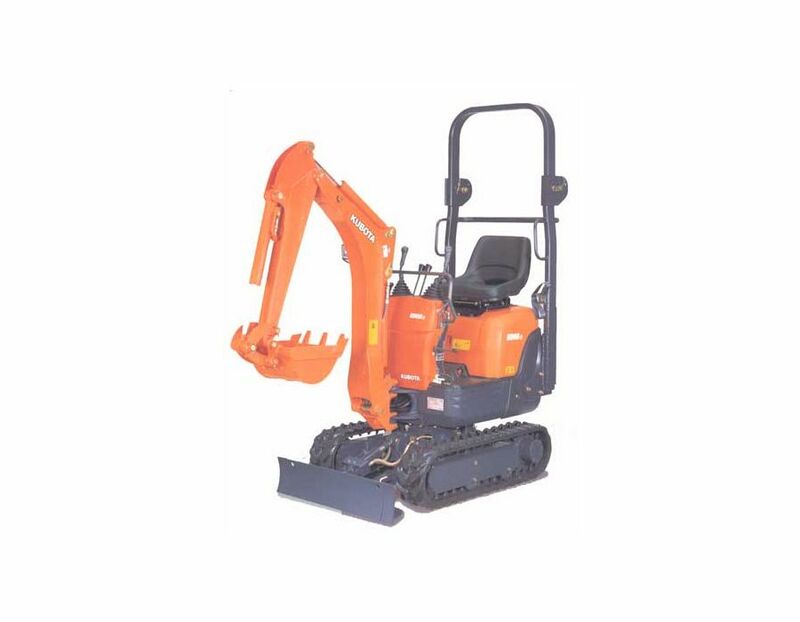 Its compact size and maneuverability, combined with the power it possesses, enables it to be productive where larger equipment would be too large and heavy. 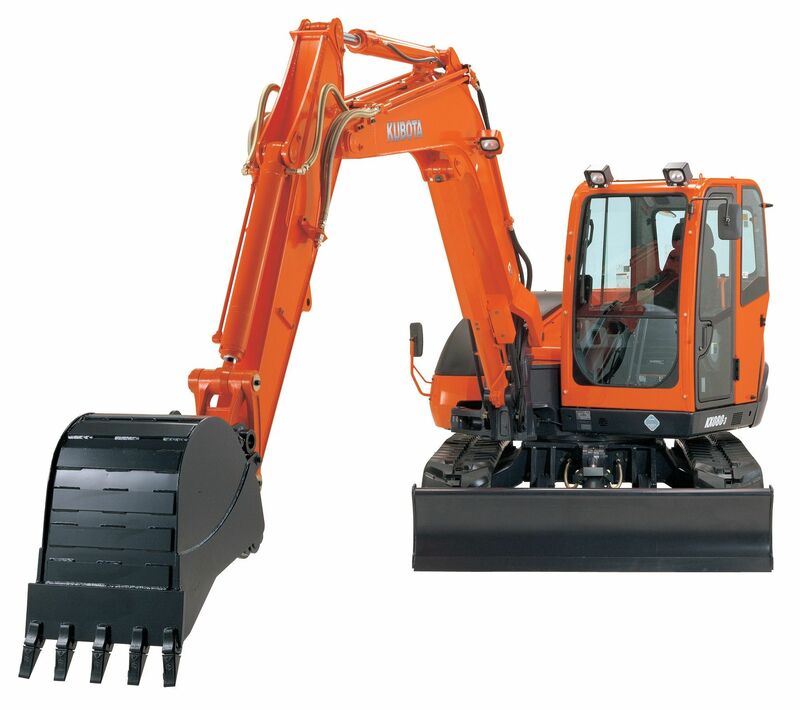 It offers low noise and vibration levels and exceptional fuel efficiency. 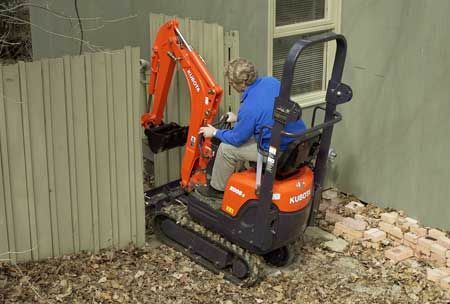 Equipped with a swing angle of up to 60 degrees, the K008-3 lets you dig a straight trench along any wall. To enable passage through narrow spaces such as doorways and gates, the adjustable width track frame can reduce the track width down to 2’4” by simply operating a single lever. It has a dig depth of 5' 8" and axillery flow of 5.6gpm. 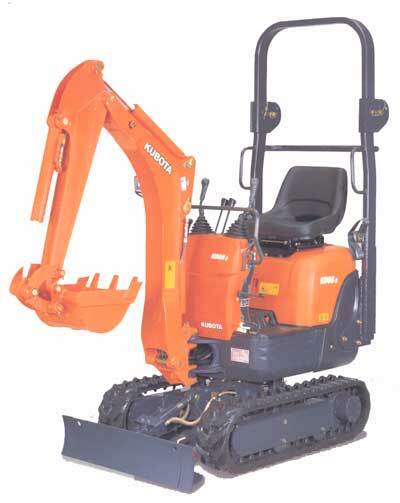 Clean Running Kubota Engine - Powerful and dependable, the K008-3’s diesel engine delivers superior horsepower and performance. It offers low noise and vibration levels, exceptional fuel efficiency, and complies with the EPA’s 2008 Tier IV emissions regulations. TPSS - is standard equipment, allowing the operator to select the most familiar operating control pattern, either ISO or SAE. 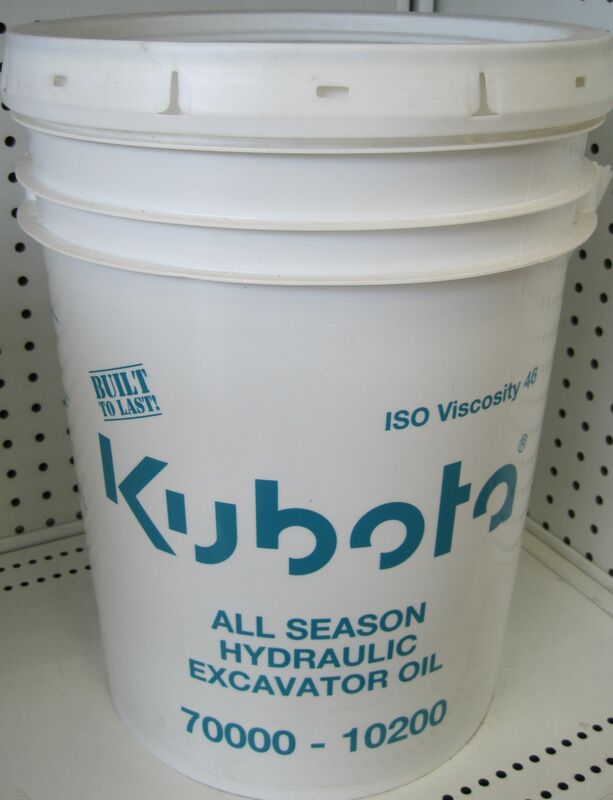 Handy Toolbox - To help you perform basic maintenance, the K008-3 comes complete with a toolbox conveniently located under the operator’s seat. 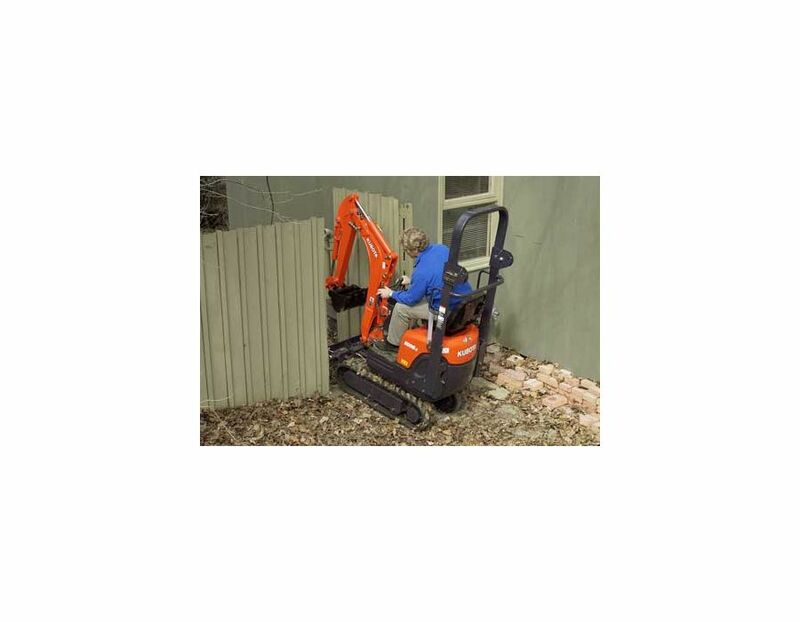 Straight Wall Trenching - Equipped with a swing angle of up to 60 degrees, the K008-3 lets you dig a straight trench along any wall. Coolant Temperature Gauge - helps prevent the engine from overheating by keeping you informed. Located close to the control levers, a warning lamp lights up when the coolant temperature rises to 115 degrees, and turns off when it falls to 108 degrees or below. Improved Hose and Boom Cylinder Protection - All the hydraulic hoses hidden with in the boom and dipper arm. With the boom mounted on top of the boom, the K008-3 increases service life by offering outstanding protection from damage. Foldable ROPS - Rollover Protective Structure provides you with an extra measure of safety. 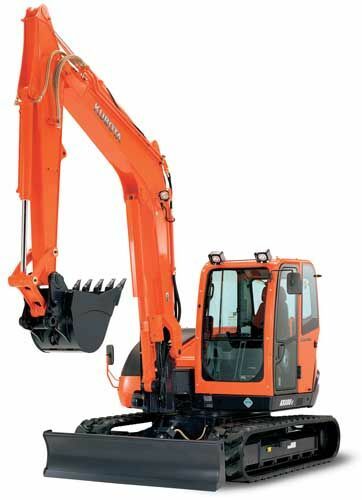 It folds down to make easier transporting and storage of the excavator. Protected Bucket Hoses - By running inside the dipper arm, the bucket hoses are also well protected from damage. Protected Auxiliary Hoses - By routing its auxiliary hydraulic hoses through the boom, the K008-3 no longer requires lengthy hoses when connecting your implements. Furthermore, a shorter hose length greatly reduces the risk of snagging and causing damage. 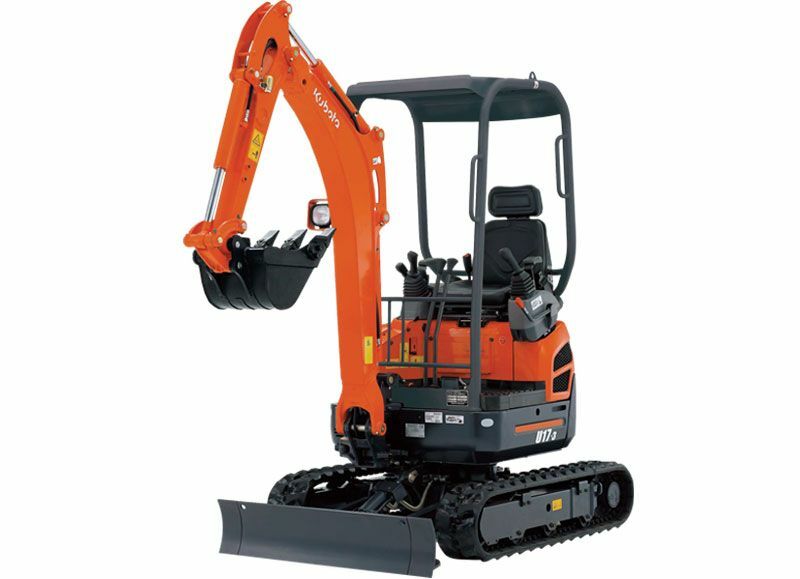 Two Speed Travel - Step on the K008-3’s hi-speed pedal, and you’ll maneuver around job sites faster than any other compact excavator in its class. Two-Way Lever - Located within easy reach, it lets you switch between control of the blade or the adjustable track width. Fast and Easy Maintenance - A full-open bonnet and new engine layout makes daily inspection and maintenance of essential components a snap. Both features now provide you with easy access to the radiator, battery, coolant, fuel filter, and dual-element air-cleaner. Comfortable Operator's Seat - Well padded and contoured, you’ll truly appreciate the comfort of its operator’s seat, especially during long days of operation. Swing Bracket Pin Bushings - To increase life of components, swing bracket pins have bushings. Spacious Operator's Area - You’ll find it more comfortable behind the operating levers of the K008-3. That’s because we’ve generously increased the space between the operating levers and the operator’s seat, and lengthened the floorboards. Pedal-operated boom swing - A convenient toe-heel pedal lets you easily operate both the boom swing and upper-house swivel at the same time. 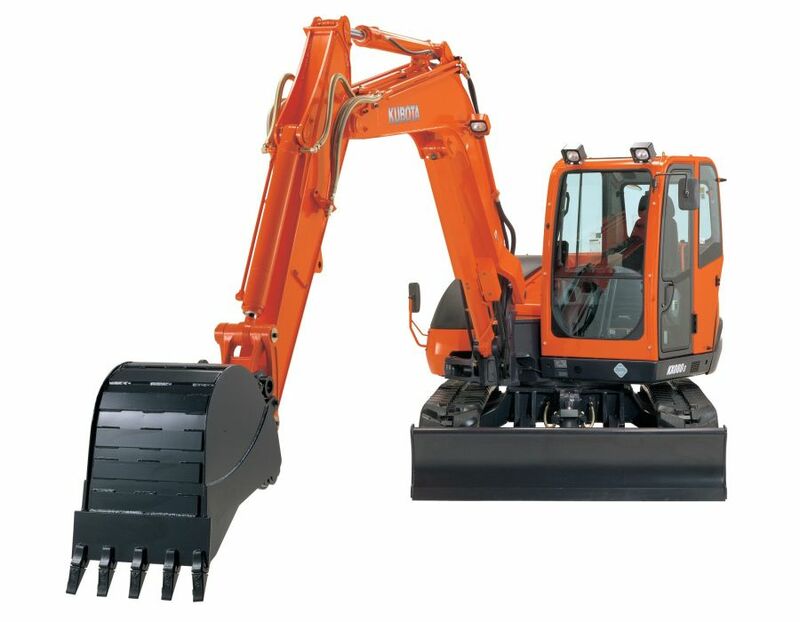 Wider Working Range - For maximum productivity, its digging/dumping heights, digging depths, and digging radius at ground level have all been increased. Adjustable Width Track Frame - To enable passage through narrow spaces such as doorways and gates, the adjustable width track frame can reduce the K008-3’s track width down to 2’4”(700 mm) by simply operating a single lever. Plus, changing the blade width is as easy as removing one pin by hand. 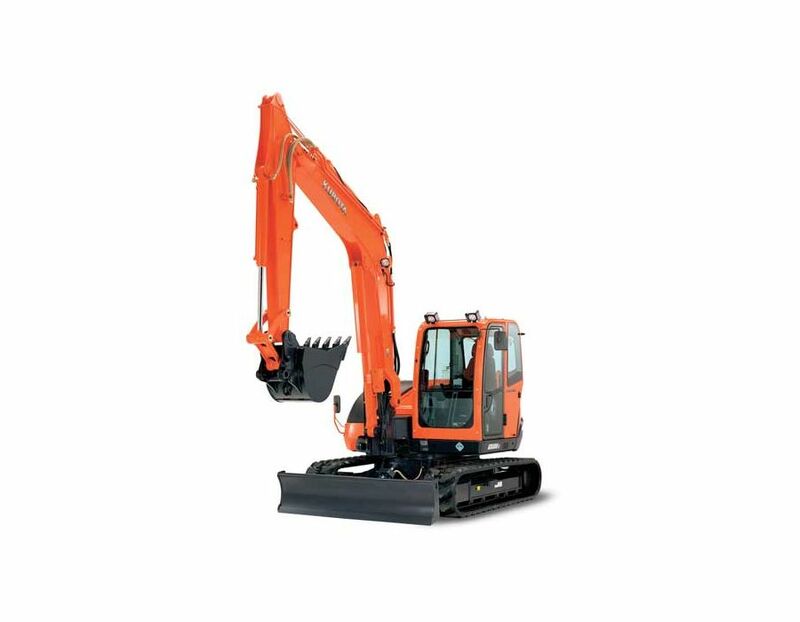 The K008-3 Kubota Excavator is available at Kooy Brothers Equipment Ltd, located at 1919 Wilson Avenue in Toronto Ontario.